The parents of a murder victim relieved the tragedy by testifying at the trial of their son's accused killer. 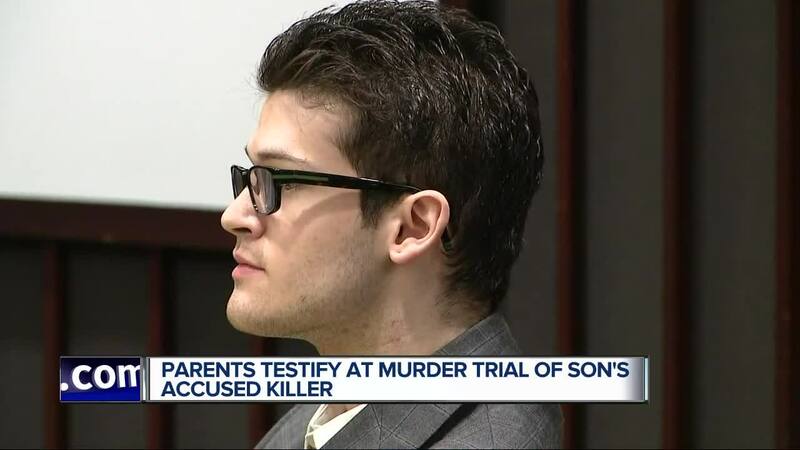 MACOMB TOWNSHIP, Mich. (WXYZ) — Police say in March 2016 Stephen McAfee was with Andrew Fiacco, a young man he grew up with through school. Police say Mcafee intended to buy marijuana from Fiacco, but for some reason Fiacco drove him to a field and shot him twice with a handgun. When McAfee didn’t return to his home in Macomb Township his parents testified they searched for him and called everyone he knew. “Numerous flyers were passed out,” testified Michael John McAfee, Stephen’s dad. “It was so out of character for Stephen not to just contact us in some way,” said Suzanne McAfee, Stephen’s mom. “I did a lot of searches through fields, through places Stephen would frequent,” said Michael John McAfee. Prosecutors say these parents reached out to Fiacco who responded by denying knowing what happened to his friend. He posted well wishes on social media. Police say Fiacco hid what happened for 14 months. Then his girlfriend told a friend some of what happened. Fiacco has autism. McAfee has Asperger Syndrome. The defense appears to be trying to portray the young man killed as unpredictable, violent and with a motive. Defense attorneys asked his mom about the two’s sexual history. “Stephen told me Andrew raped him,” she testified during the trial on Thursday. The judge ruled that questions about sexual orientation were not relevant or allowed and the jury was told to disregard some of what was said.